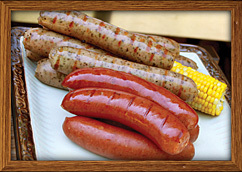 At Glier's, we make sausage every day, and we have for over sixty years. At BEST Deer Processing, we use all that experience to create the best-tasting and most extensive line of cuts, sausages and processed deer products available in the region. As you look over our selection, ask yourself, Have You Found Your Favorite? 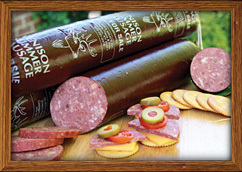 By far our most popular item is our Famous Summer Sausage. If you like to share your deer with friends and family, the wonderful, familiar taste of our Original blend makes this 3 lb. roll a must-have item. Also available in Spicy Jalapeno, Sharp Cheddar and Jalapeno Cheddar varieties! 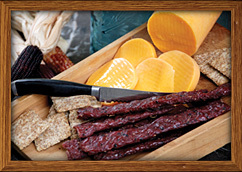 Similar to familiar snack sticks, but with a healthy, greaseless flavor thanks to venison's natural leanness, our Veni-Stix make a nutritious snack and a very popular party item. 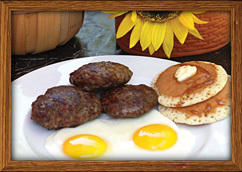 Our Breakfast Sausage has all the classic taste of traditional pork sausage with all the health benefits of low-fat venison. Available in Mild and Hot flavors. Always a favorite, our Jerky has been wildly popular with our hunters ever since we released it ten years ago. Totally different from store-bought jerky, our wide, thick strips are spicy, filling and full of flavor -at half the price of commercial brands! 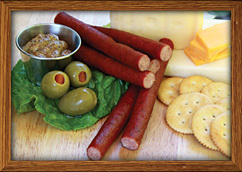 Our smoked Hot Mettwurst and zesty Italian Sausage became instant favorites as soon as we offered them. Though neither is overpowering, they each have enough heat and spice that you will know you have eaten a truly excellent sausage. They are made five to the pound, and are great on the grill or served in a dish with vegetables or pasta. 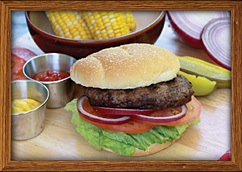 Our old standard, we make Deer Burger grinding venison and and mixing it with beef suet to enhance the flavor and texture of the lean meat, making it great for meatballs, salisbury steak, or just grilling out. We also offer 100% ground venison, and while the ultra-low fat content makes it fall apart on the grill, it is wonderful for chili, soups and casseroles! Once a year we smoke these special Christmas Hams. 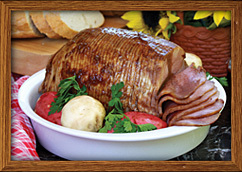 The resulting smoked roast is dark, moist and rich with flavor, and the larger your deer the bigger your ham will be! Our Boneless Chops are cut from the rib and loin, the largest tender pieces of meat on your deer, we slice this fillet to create a steak large enough to be served by itself. Neatly packaged, they look like pork chops. This is an old stand-by in all quality deer deer processing. 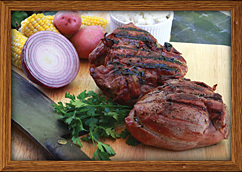 Roasts are large cuts rolled from the round in the hindquarter of your deer. This cut of meat makes an excellent meal when slowly cooked. 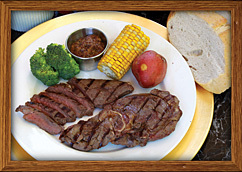 To make Round Steaks, we slice the hind leg of your deer into large, thick cuts visually similar to a ham steak. 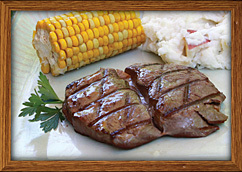 Always a large steak in comparison to the boneless loin chops, on very large deer these steaks can be enormous.